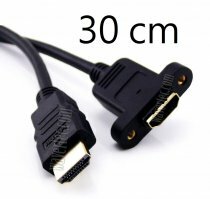 If the HDMI socket is at the back of your flat TV, you might need a lot of efforts to plug and unplug an HDMI cable in the past. Now, you can do this without effort. 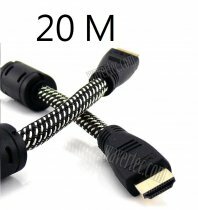 This extension cable helps in extending the socket to outside so that you can easily plug and unplug the cable. This is a high quality cable which compliant with HDMI V1.4. It supports 3D and 2Kx4K resolution. 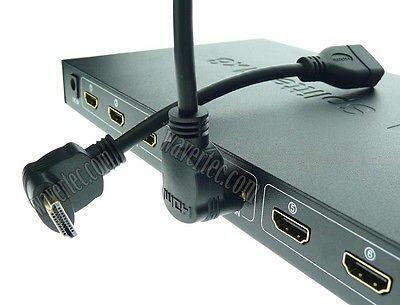 Even your HDMI socket is now V1.3, this high quality can give you confident in use and better prepare for the future. Right angled to avoid bending of cable against wall. HDMI V1.4 high quality extension cable with 28AWG. High quality with gold plated terminals.